In a recent subcommittee hearing with appropriations committee, Dr. Thomas Frieden, the director of the CDC, testified to several representatives regarding the budgetary affairs of the CDC. Throughout the hearing, Dr. Frieden talked at length about the various projects the CDC had been involved with recently, particularly regarding the Zika and Ebola viruses. However, about 30 minutes from the end of the hearing, Representative Andy Harris (R-Md.) asked a series of questions that dug right into the real problems happening with the CDC. Because, while the CDC is currently involved with combating the real and present danger of the Zika virus, its gradual adoption of various bureaucratic and political goals over the years has greatly diminished the agency’s reputability and efficacy in actually controlling diseases. The first question Rep. Harris asks refers to the CDC’s recent involvement in studying salt consumption. In particular, the CDC has pursued alternate guidelines in how people consume salt, recommending lower intake. However, as Harris points out that some people, studies have shown, actually experience worse health effects with less salt, much of the CDC’s effort to change guidelines seem more politically than scientifically motivated. Throughout the years, it has been found that the CDC has supported many politically charged “scientific” studies, with the goal to reduce consumption of different goods like salt and alcohol. These faux-studies had become so regular that there have been congressional efforts to restrict the CDC’s political agenda. Harris’ next question involves the Community Preventive Services Task Force, a commission tasked with studying local health issues in various communities. 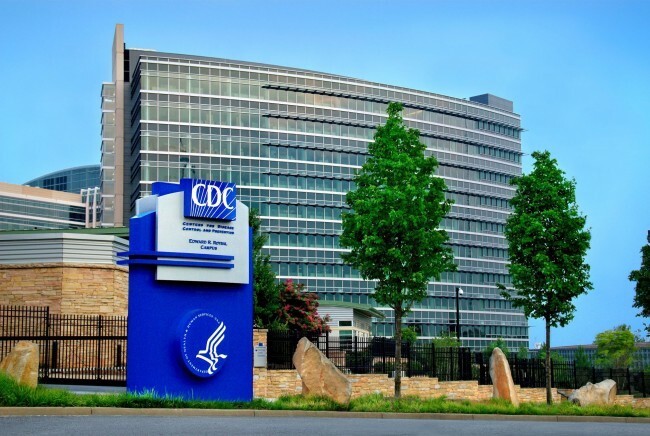 Though the Task Force is nominally independent from federal agencies, the CDC appoints its members, as well sending its own workers to assist in the research. Harris’ question regards funding for the Task Force, as the appropriations committee specifically didn’t allow funding through the Prevention and Public Health Fund. The specific intention of this fund was to aid in disease research and control, as would be the case with the Zika virus. However, as Frieden’s uncertain answer demonstrates, the Task Force is likely tapping into that exact source of revenue, undermining the Task Force’s true independence and calling to question the CDC’s intentions of expanding its bureaucratic authority. Harris’ final question, regarding the Strategic National Stockpile, perfectly exemplifies the mission creep and bureaucratic growth facing the CDC. Originally, the SNS was established to be a stockpile of medical treatments against bioweapons, though it is now being used for all sorts of situations, such as natural disasters. All the while, the CDC has quietly diverted more energy and funding to such programs, expanding beyond its original mission of controlling disease activity. When Rep. Harris asks Dr. Frieden if such diversion of funds would prevent the CDC from carrying out its mission, Frieden essentially offers that the CDC is wholly committed to such bureaucratic transformation. The entire interaction between Rep. Harris and Dr. Frieden encapsulates all of the gradual transformations that are making the CDC more of a bureaucratic mess. First, the agency quietly expands its oversight over areas that go beyond its original mission. Next, important funding gets diverted from crucial disease control programs, as would be applied to the Zika virus currently, to these secondary, adopted programs, posing very serious consequences to health. The final outcome are ineffective, politically-charged reports with little semblance of the original mission and intended goals. In the past, the CDC has been quite effective in addressing the spread of diseases when that was the agency’s only action; the more it adopts an expansive, bureaucratic agenda, the less effective it will become in carrying out the crucial task of keeping Americans healthy and safe.